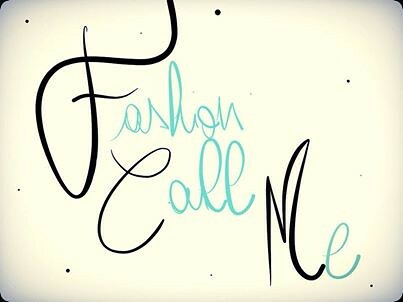 Fashion Call Me logo, a photo by blondefrancy on Flickr. Hi Fashion Callers, as I told you on Twitter, here is the logo of my online blog! I created it with an iPad app, after several trials is the final result! Hope you like it! For me it’ s very important! Ciao Fashion Callers, come vi avevo anticipato su Twitter, ecco online il logo del mio blog! L’ho creato io stessa, con un applicazione, dopo diverse prove ecco il risultato finale!! Spero che vi piaccia!! Per me è molto importante!